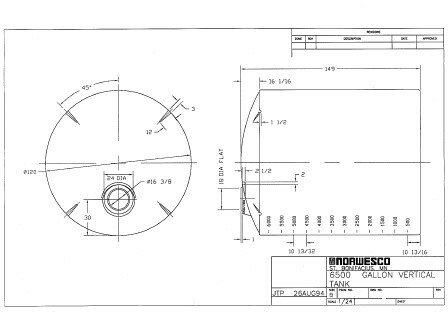 -- This tank has a Diameter of 119" and Height of 150". -- Tank Capacity: 6500 Gallons. -- Meets ASTM D 1998-06 Wall Thickness Standard Specification for Polyethylene Upright Storage Tanks.